BSNL has announced the rationalization of Prepaid vouchers tariff and extended the promotional offer introduced earlier upto 18th June, 2016 under GSM Mobile services. State run Telecom Company Bharat Sanchar Nigam Limited (BSNL) according to the 43rd Amendment of TRAI (Telecom Regulatory Authority of India) instructions/guidelines has revised the Voice calling STV of Rs.149 validity in Kerala Telecom Circle from 19th June, 2016 onwards. As per latest information, BSNL Kerala Telecom Circle competent authority has decided to reduce the validity of the promotional introduced voice calling STV of Rs.149 validity from 27days to 24 days without changing its freebies/benefits. Voice STV 149 offering, Free 20,400 seconds for voice call for both Local/STD to any network comes with 24 days (revised) validity. 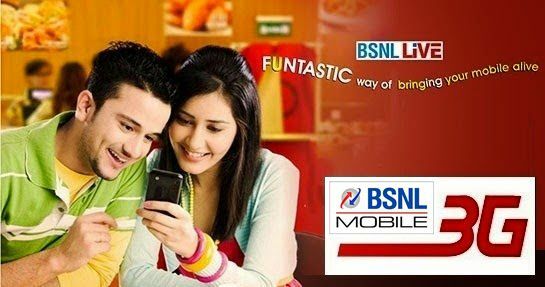 As we reported earlier in March 2016 BSNL extended the promotional offer of Voice STVs 149 and 449 exclusive for mobile users in Kerala Telecom Circle upto 18th June, 2016. 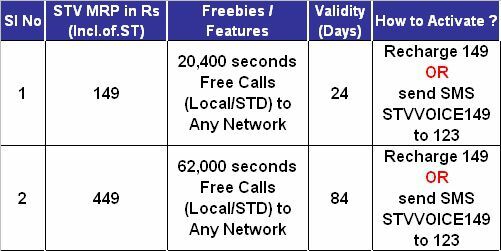 Whereas, BSNL has not changed the validity and freebies for Voice STV 449 which will continue offering Free 62,000 seconds for voice calls to any network for both Local/STD comes with 84 days validity. Voice STVs 149 and 449 can be activated through Flexy recharge or by sending SMS to USSD code 123. The above STVs revision will be implemented with effect from 19th June, 2016 and available upto 16th September, 2016 as promotional basis across Kerala Telecom Circle under Prepaid plans mobile services. Thank you for sharing the information here. And please keep update like this. It is quite interesting.